Learn more about Valeria's past in the bonus game! Enjoy concept art, music, and more! 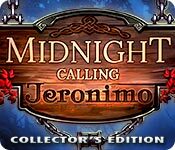 Midnight Calling: Jeronimo Collector's Edition is rated 4.1 out of 5 by 41. Rated 5 out of 5 by splash1234 from I'm having fun with this one! I'm really enjoying this game! I love the story, the magical creatures, the cute helpers sure add to the fun. I'm enjoying the adventure and collectibles, love the morphing objects!! It is so nice to leave real life behind as I immerse myself into this pretty game. It has pretty scenery throughout. I like the idea Torpedo1 has...to collect dragons or mythical creatures, it would add to the game...maybe in a future one...But still a great game. The game is moving along nicely with much to do. I like taking my time with a game so I can fully enjoy and see everything!! Beautiful game! I recommend this one and will play it again in the future. Thanks so much for a terrific game!! Rated 5 out of 5 by chezmah from FANTASTIC FUN Top of the line on every level ! Really enjoyed every moment. The graphics were fabulous Lots of interesting characters throughout the game to interact with ! Even the helpful little creatures were charming and it was nice to have several of them to accompany you throughout the adventure. The were discreet and adorable. . The puzzles and HOG games were different and colorful and fun to solve. Not too hard, not too easy. Very diversified. There was none of the endless repitition that is all too often the case in some of the recent games that we have been proposed. . Midnight Calling had a perfect balance of everything from beginning to end of this CE version. Well worth paying for the pleasure of playing.. I did NOT feel that the game was the same old stuff that has been proposed to the loyal BFG players lately. This game was brilliant. It flowed smoothly and i felt totally engaged in the story. Lots of attention to detail went into creating every aspect of this game and i am thankful for the care and quality that the developers put into it. I just wish that games of this quality were offered more often.I would love it ! As a frequent player of BFGames, i am always looking forward to games that are fun to play and not the ordinary hum-drum, same old, same old routine. I'm looking for entertaining and creative games. They have been few and far between.... so this new release is giving me hope that there will be more to come.... lots more ! Thank you developpers, and please Big Fish..... give us more games of this quality. I definately recommend this game ! Rated 5 out of 5 by adnerbfaye from Girls Just Wanna Have Fun Sometimes you just want to kick back and have a good time. This game did it for me. Easy, but not too easy, and just fun! Very relaxing and passes away the hot Georgia day. Oh, and I loved the tie-in with Midnight Castle. Rated 5 out of 5 by Kazikstan from Best Game this Month This game is beautiful, very engaging, good story and keeps you interested, the puzzles weren't too hard but I found the HO's a bit too easy. Rated 5 out of 5 by Frezo from Love the game I love everything about this game, even the helpers. 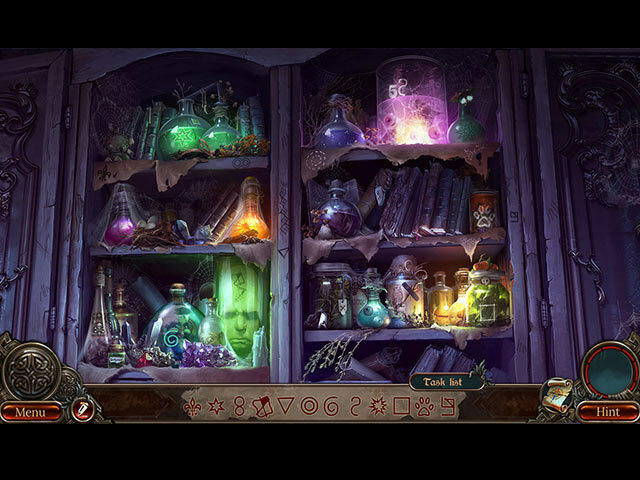 I love the graphic and the story line and the puzzles are also nice. Not too challenging, but perfect for an relaxing night, with some cute aspect and a nice fantasy theme. Rated 5 out of 5 by banditkitty1 from Why not buy! Superb!!! Sorry just would like to say this is game is superb!!! Honestly, that sums it all up and I cannot begin to think of any other game lately that comes even close to this rating. Rated 5 out of 5 by yelwbkrd35 from Visually Beautiful Game This is a buy for me. I love the art work especially. Rated 5 out of 5 by pennmom36 from I Thought My Thieving Days Were In The Past! Jeronimo had put his days as a thief behind him, and is content running an honest Tavern for the locals. That was all fine and dandy, until his baby sister Ellie fell terminally ill. There's only one hope for a cure, an elixir potion heavily guarded by a vicious forest witch, and she has no intention of sharing! Jeronimo will have to come out of retirement and steal the formula from the evil witch, this won't be an easy job, but after all, Jeronimo was the best thief Rockville has ever seen and earned him the nickname "Safe Cracker" I actually loved the first Midnight Calling too, I just wished this was a continuation of the original story, Midnight Castle. This is an easy game, but sometimes that's okay and makes for a relaxing afternoon! 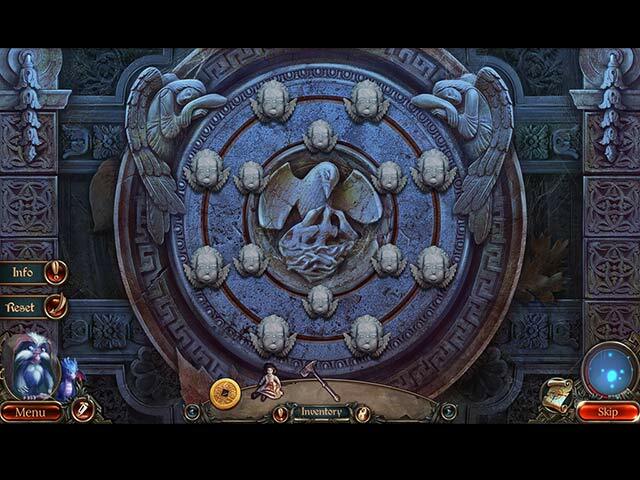 The graphics could be better (hand drawn instead of computer generated) and the mechanics of the game are a bit slow and clunky, as are the voiceovers which are horrible, picture a foreign movie with english dubbed over it, the lips move for 5 minutes, and then the voice chimes in, but oh well, it's just a game. There are plenty of Achievements as well as Hidden Cards, Morphing Objects and Coins that can be used to buy all your little forest friends their favorite snacks at the forest's edge. Yes, you get a cutsie little helper, actually, you get two cutsie helpers but no one's counting right? 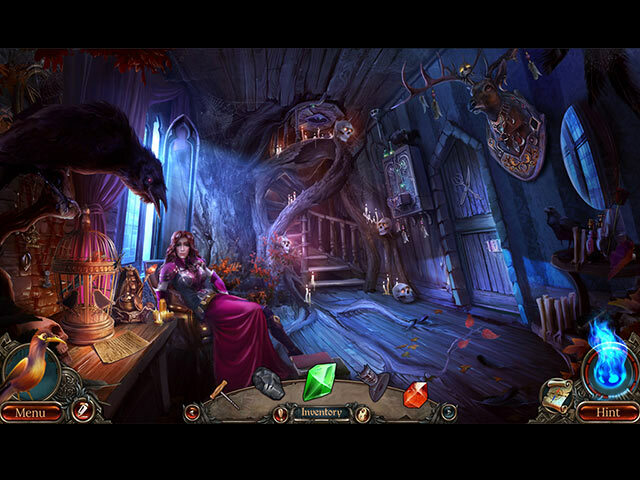 The Hidden Object Scenes are okay, nothing to write home about but nothing horrible either. There are mostly Silhouetted Shape finds but there are also tiny Zoom Zone HOP's where you find 4 or 5 fragments to make one complete item. The Mini Games are easy, some are really quick, some more lengthy, but again, sometimes you need no brainer puzzles just to have fun without the overload. Below are brief descriptions of some of the games you'll encounter during the demo: 1) Rotate tiles to complete the image by clicking on the center of each circle section. 2) Place the symbols on the correct rows based on the images they're associated with by swapping them. 3) Select the shield when the circle is on it block. Then attack by pressing the bottom disk when the arrows are in the green area. 4) Using the crystals, color the marks on the head based on their matching shapes. This Collector's Edition has 10 Wallpapers, 10 Concept Art pictures, 4 Music Soundtracks, 24 Achievements, 1 Screensaver, a Secret Room, Morphing Objects, Hidden Cards, Hidden Coins to use at the Forest Edge, a built in Strategy Guide and a Bonus Chapter, enjoy!